Anyone staying with All Alaska Outdoors gets complete fish processing, Airline Ready! Put together a package or call or email us about lodging only. We have several wonderful living settings for our guests. Our Main Lodge overlooks trout-filled Longmere Lake. It has two 1 BR suites with one bath and an extra vanity; and two 2 BR suites, each with one bath and extra vanity. Our Main Lodge overlooks trout-filled Longmere Lake. It has two 1 bedroom suites with one bath and an extra vanity; and two 2 bedroom suites, each with one bath and extra vanity. 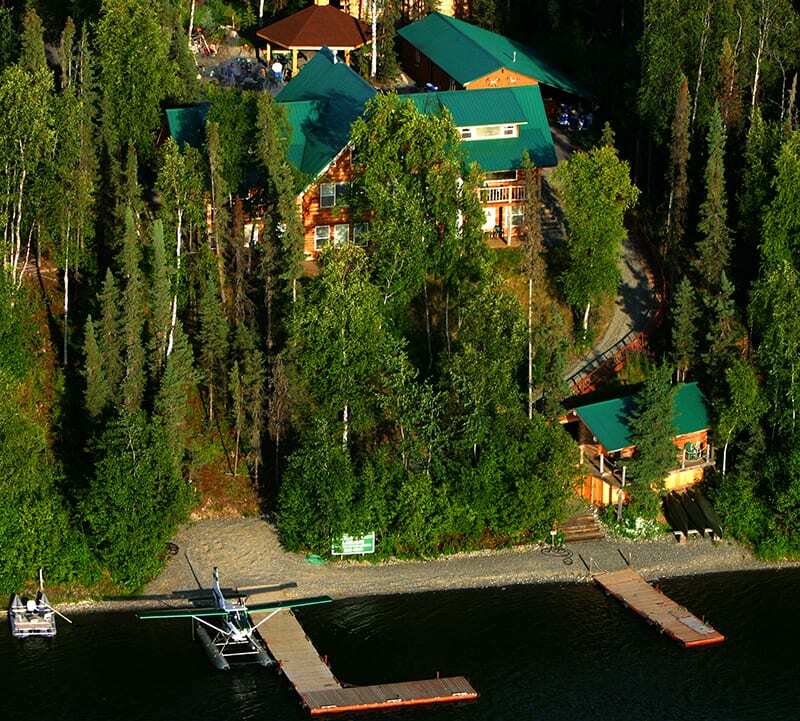 Our waterfront Log Lodge suites overlook the Rainbow Trout filled Longmere lake and the All Alaska Outdoors float plane dock. Each suite has a complete kitchen, spacious living area and full bathroom with a second vanity center. Our Studios our located above our Conference and Dining Center. They sleep two persons with bedding options including 1 Queen and 1 Twin bed. 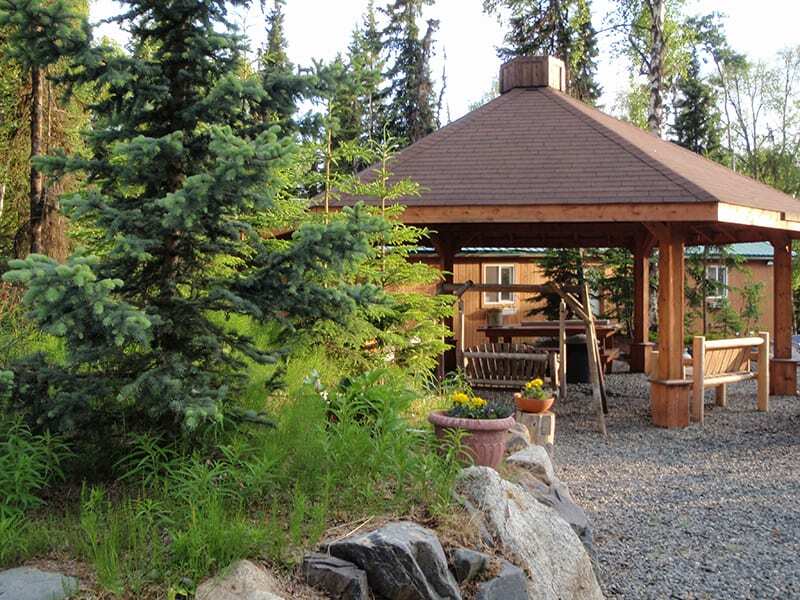 They have a 20′ x 20’ footprint offering plenty of room for two persons along with a full kitchen and private bath. 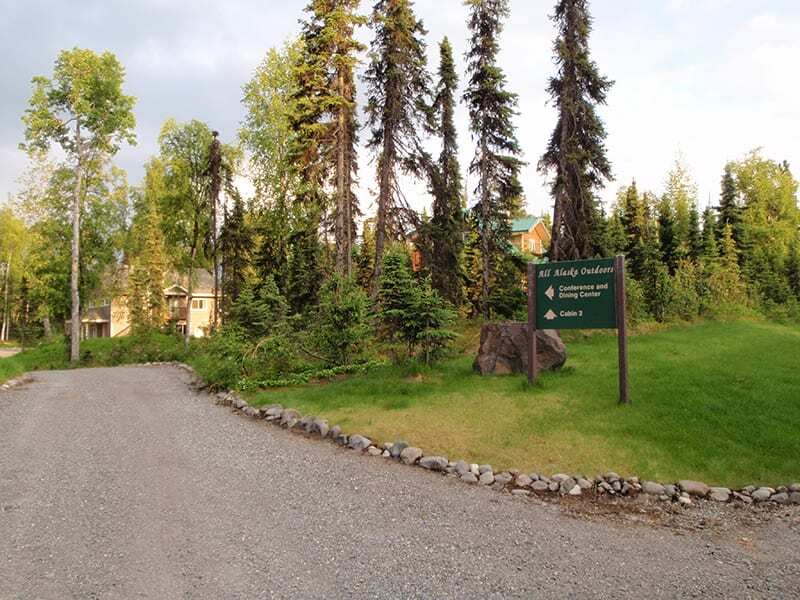 Both of our Two bedroom, Two bath cabins are nestled in the wooded area of our 4 acre waterfront complex. These lodging options are completely private, with no shared walls. 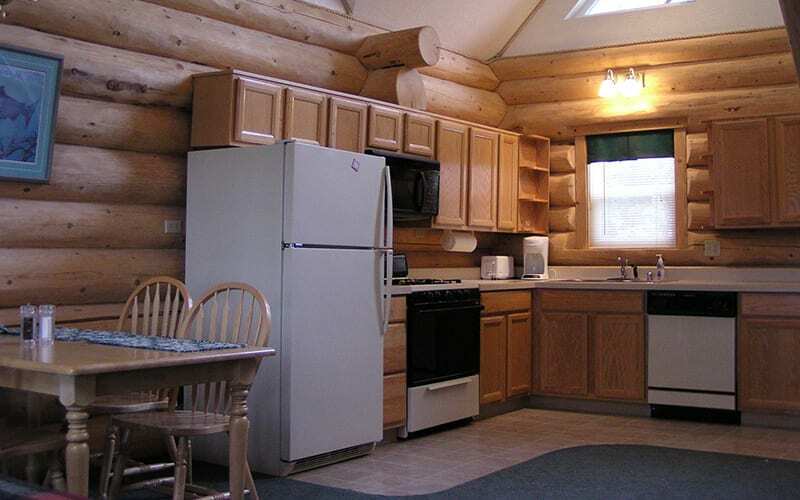 Each cabin sleeps 4 persons with each bedroom layout including a Queen and a Twin bed. 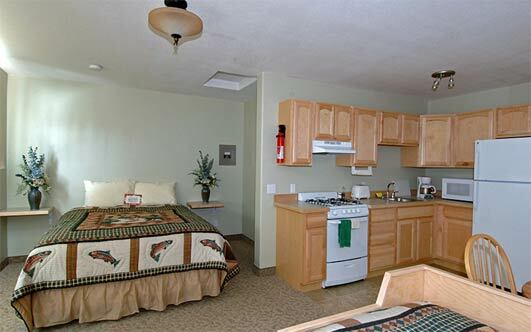 As with all of our lodging, a full kitchen and private living area is part of your set up. We have a large conference and dining center with commercial kitchen, power point set up with stage and plenty of seating. 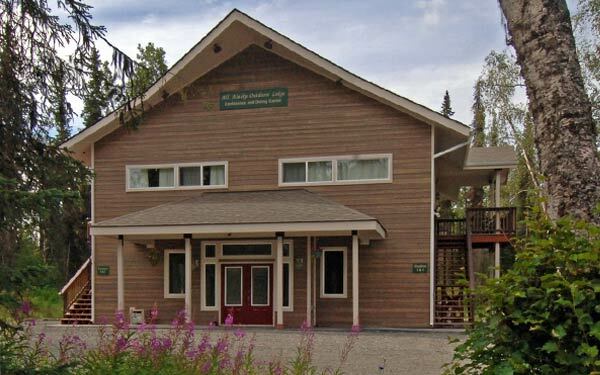 This is where we have our Wednesday night lodge dinner and Wellness Week lecture and meals. It’s great for Weddings, Business meetings and Family reunions. Occupancy is 85 people. 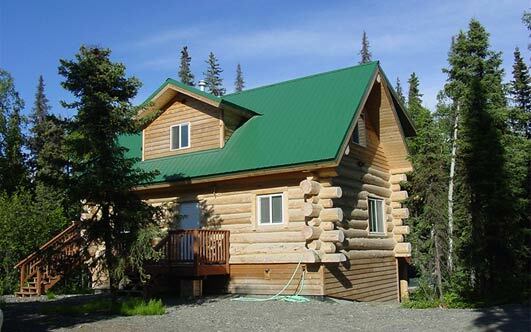 Whether you’re looking for a stay with Fully Guided Fishing, Hunting or Bear Viewing Excursions or just looking for the perfect place to station while you see Alaska on your own, we have you covered. 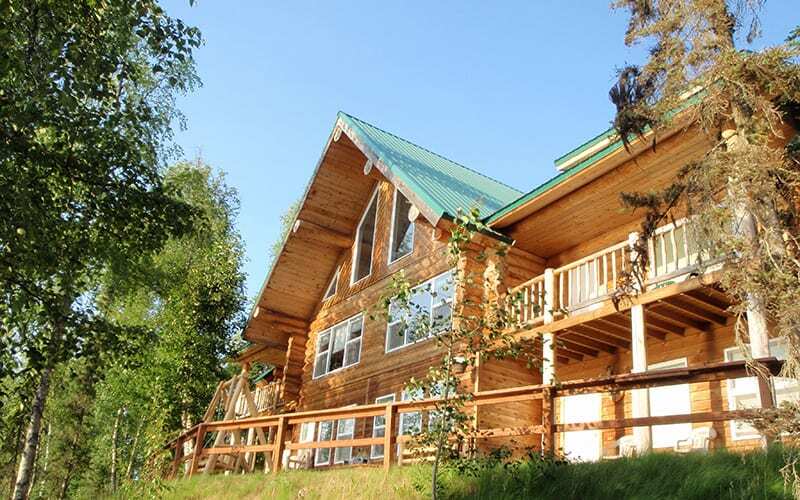 Relax in a luxurious lodge and cabin accommodations while you enjoy the wide array of activities available on the Kenai Peninsula. 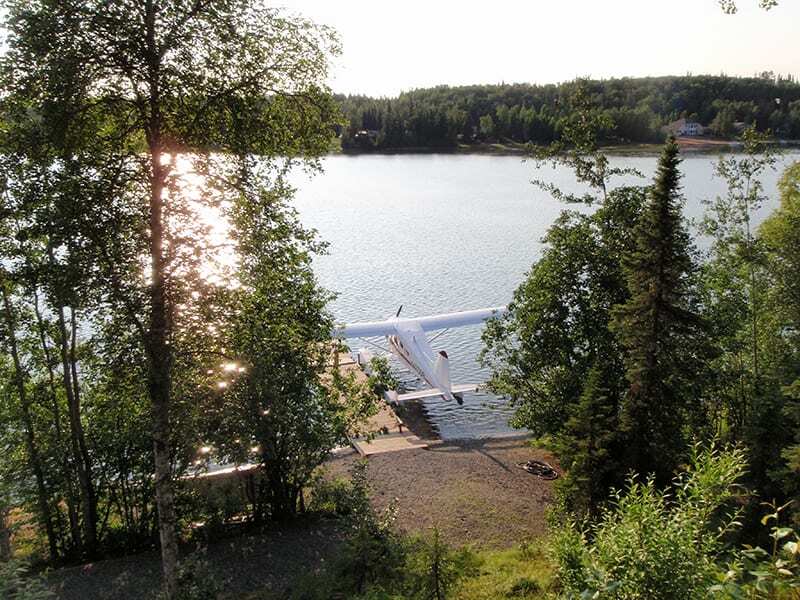 All Alaska Outdoors Lodge is located 6 miles from Soldotna on a beautiful trout filled Floatplane Lake. Our central location puts all of your activities within a reasonable travel distance. 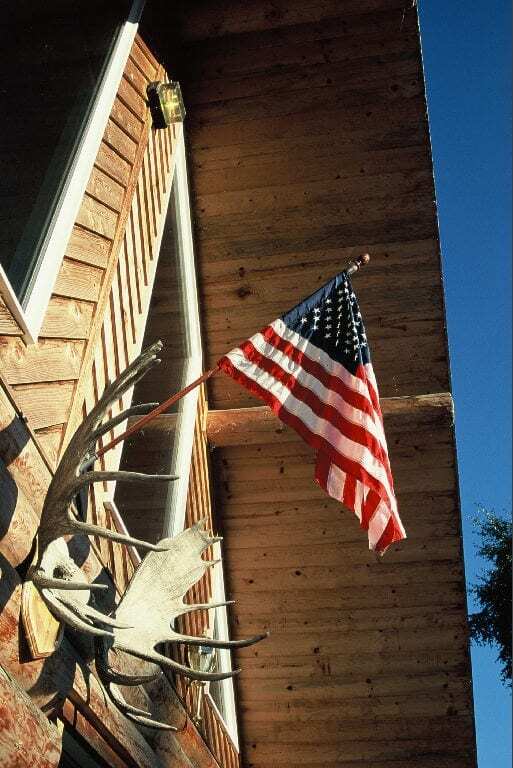 After spending your day fishing, hunting, or sightseeing, you may choose to eat at one of many restaurants in the Soldotna/Kenai area, or you may choose to prepare your own meal in your fully equipped kitchen. The type, timing, and cost of your dining are entirely up to you. 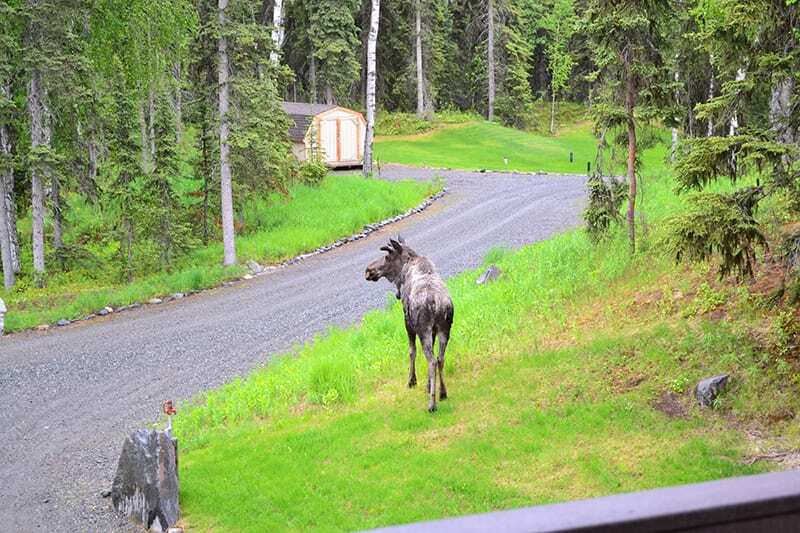 Every Wednesday night the lodge puts on a wild Alaska Dinner at no charge to anyone staying at the lodge. 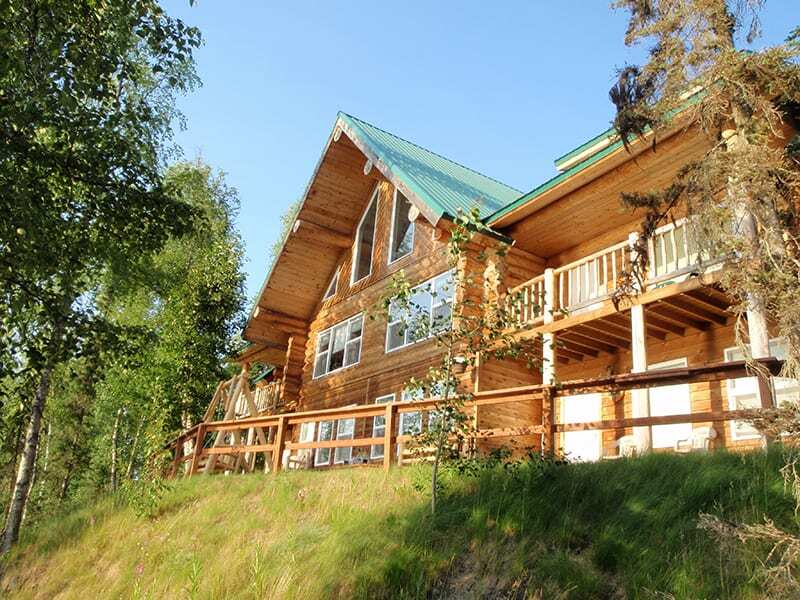 Upon your return to the lodge for the evening, you can enjoy the view of the lake from your deck or relax in the sauna. The grounds are relaxing, with fire pits and grills in two locations. Anyone staying with All Alaska Outdoors gets complete fish processing, Airline Ready! Put together a package or call or email us about lodging only.